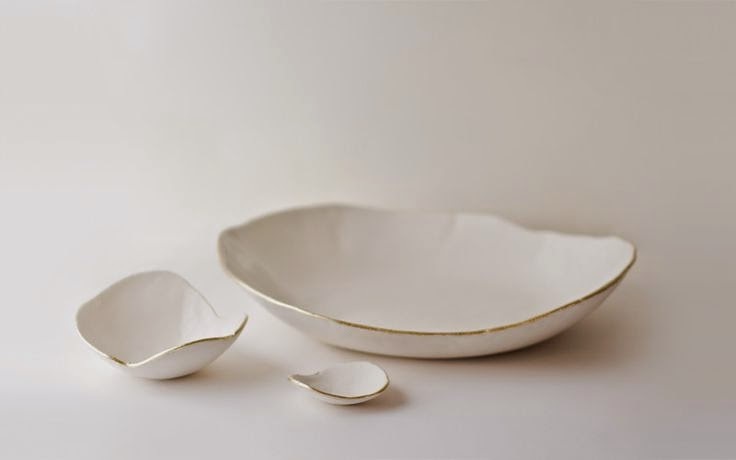 I have a major love for pottery, especially pieces that are topped off with a gilded rim. They look so beautiful displaying your meals and/or sitting pretty on your shelves. The china we picked from our wedding day is all white and pretty lackluster. I would love to amp up our table settings with more interesting pieces like these few that I rounded up from some stylish potters. The above set is from Suite One Studio which offers a slew of small batch beauties made right here in the good old USA. I first spotted this artist's work on the amazing website Food52 and was totally smitten as soon as I saw them. The lace pieces make such a beautiful wedding gift, don't you think? I also love that they above set coordinates so well with these small dishes that I featured in this etsy love post. 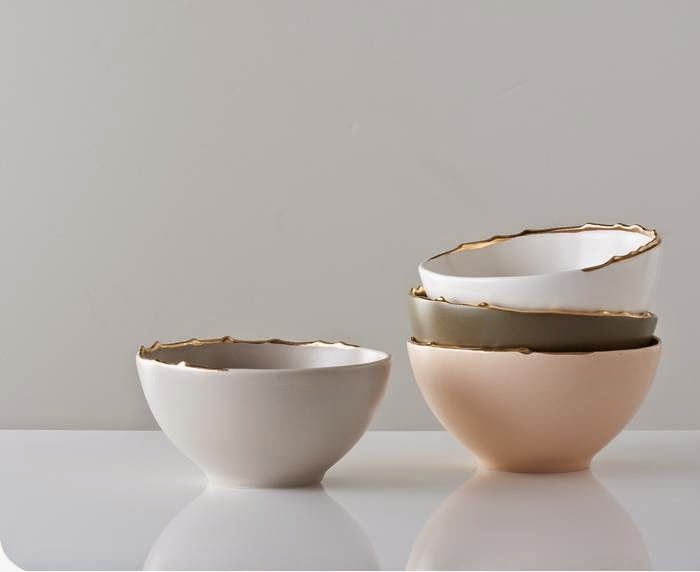 The bowls below is from Studiomake under their "flawed" line which celebrates the beauty of imperfections. I personally love the soft colors and raw edges. They are almost too pretty to use...almost. The trio below is a beautifully shaped set of dishes that can be used for catching keys to holding jewelry or for food. 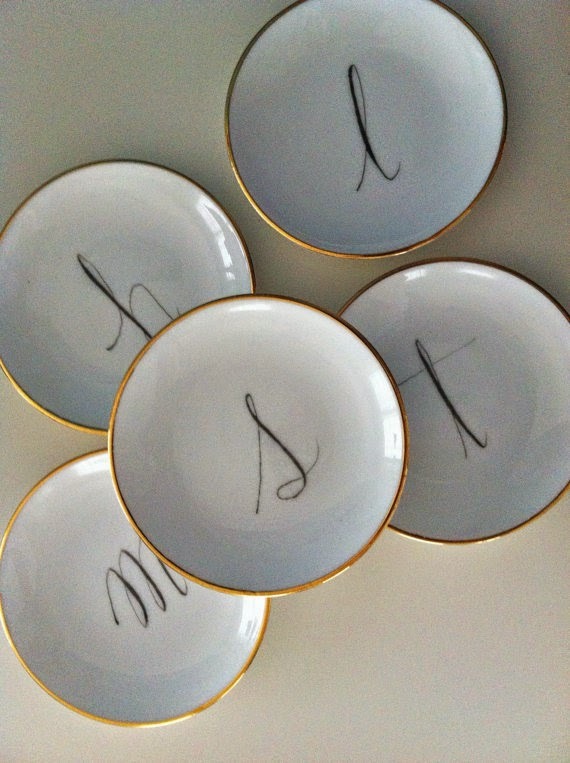 Etsy is always a great resource for finding personalized pieces at great prices so when I saw these gold rimmed ring dishes in the prettiest calligraphy I knew I had to share. 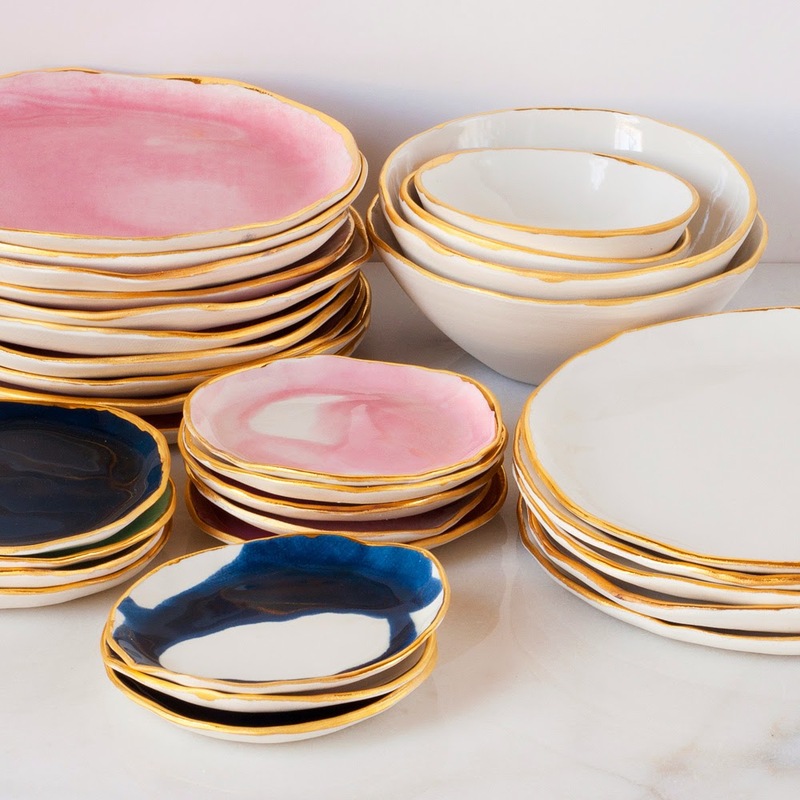 Shop some more gold rimmed treats for your home below!